Google's previously announced anti-piracy measures have now kicked in and as a result popular "pirate" sites are noticing a massive drop in search traffic. Search results now show less popular torrent sites but not all site owners see this as a problem. In fact, some smaller sites may even be benefiting from it. In recent years Hollywood and the music industry have taken a rather aggressive approach against Google. The entertainment industry companies have accused the search engine of not doing enough to limit piracy, and demanded more stringent anti-piracy measures. One of the suggestions often made is the removal or demotion of pirate sites in search results. A lower ranking would lead fewer people to pirate sources and promoting legal sources would have a similar effect, rightsholders argue. While Google already began changing the ranking of sites based on DMCA complaints in 2012, it announced more far-reaching demotion measures last week. According to Google the new alghorithm changes would “visibly” lower the search rankings of the most notorious pirate sites, and they were right. TorrentFreak has spoken with various torrent site owners who confirm that traffic from Google has been severely impacted by the recent algorithm changes. 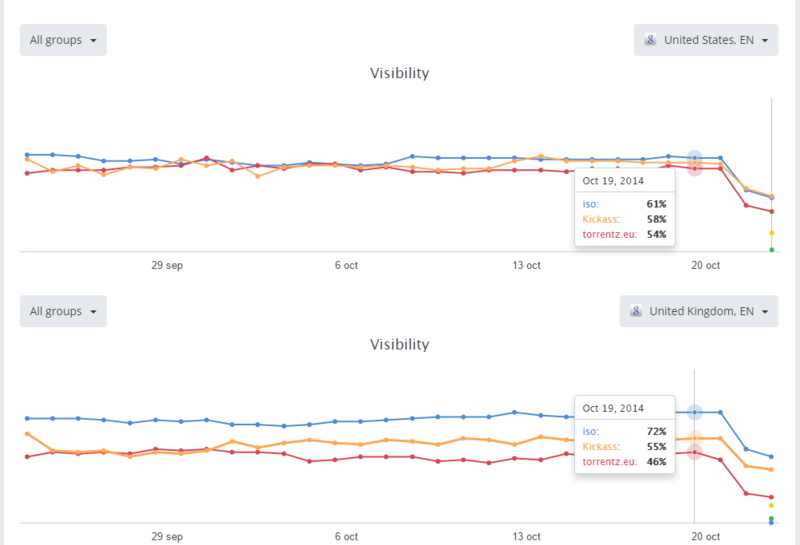 “Earlier this week all search traffic dropped in half,” the Isohunt.to team told us. The drop is illustrated by a day-to-day traffic comparison before and after the changes were implemented, as shown below. The graph shows a significant loss in traffic which Isohunt.to solely attributes to Google’s recent changes. The downranking affects all sites that have a relatively high percentage of DMCA takedown requests. When Google users search for popular movie, music or software titles in combination with terms such as “download,” “watch” and “torrent”, these sites are demoted. The new measures appear to be far more effective than previous search algorithm changes, and affect all major ‘pirate’ sites. Below is an overview of the SEO visibility of several large torrent sites in the UK and US, based on a list of 100 keywords. The true impact varies from site to site, depending on how much it relies on Google traffic. 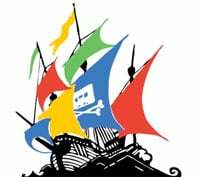 Confirming their earlier stance, The Pirate Bay team told TorrentFreak that they are not really concerned about the changes as they have relatively little traffic from Google. “That Google is putting our links lower is in a way a good thing for us. We’ll get more direct traffic when people don’t get the expected search result when using Google, since they will go directly to TPB,” they said. To get an idea of how the search results have changed we monitored a few search phrases that were likely to be affected. The before and after comparisons, which are only three days apart, show that popular ‘pirate sites’ have indeed disappeared. 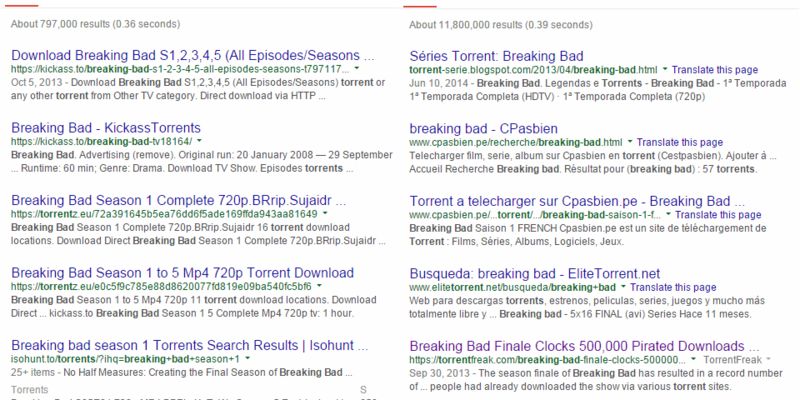 A search for “Breaking Bad torrent” previously featured Kickass.to, Torrentz.eu and Isohunt.com on top, but these have all disappeared. Interestingly, in some cases their place has been taken by other less popular torrent sites. 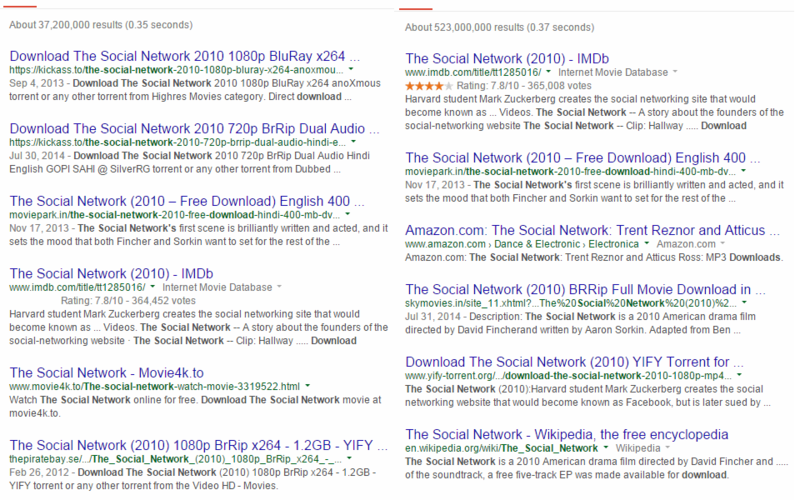 The top torrent sites have also vanished from a search for the movie The Social Network. “The Social Network download” no longer shows results from Kickass.to, ThePirateBay.se and Movie4k.to but shows the IMDb profile on top instead. Searches for music tracks have changed as well. 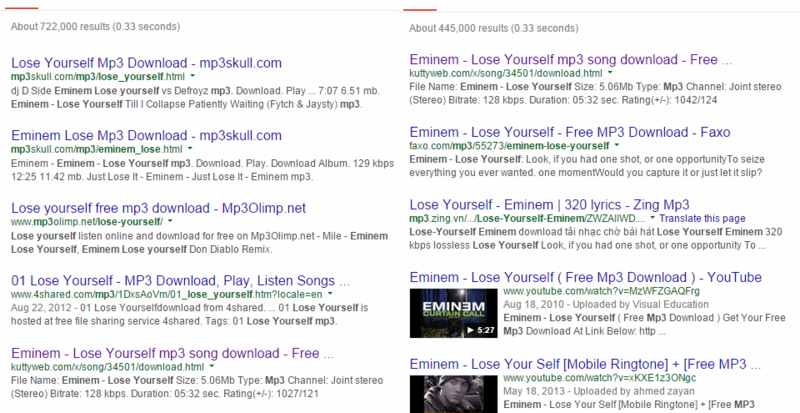 The phrase “Eminem lose yourself mp3” no longer shows links to popular MP3 download sites such as MP3Skull.com, but points to legal sources and lesser known pirate sites. The traffic data and search comparisons clearly show that Google’s latest downranking changes can have a severe impact on popular “pirate” sites. Ironically, the changes will also drive a lot of traffic to smaller unauthorized sources for the time being, but these will also be demoted as their takedown notice count increases.